I've done one giveaway already for this book. Since the interest was so high for the first giveaway and since Ree offered up an additional three books, I'm having another giveaway. And, yes, people, you read correctly. Three books. If you've read The Pioneer Woman's blog, you've seen the recipe section of her site and probably have fallen in love with the not only the recipes, but the pictures and everything else related to her life on a cattle ranch. Ree was kind enough to send me a review copy back in October of her new book, The Pioneer Woman Cooks: Recipes from an Accidental Country Girl, a luxuriously picturesque book that there are not enough adjectives to describe. 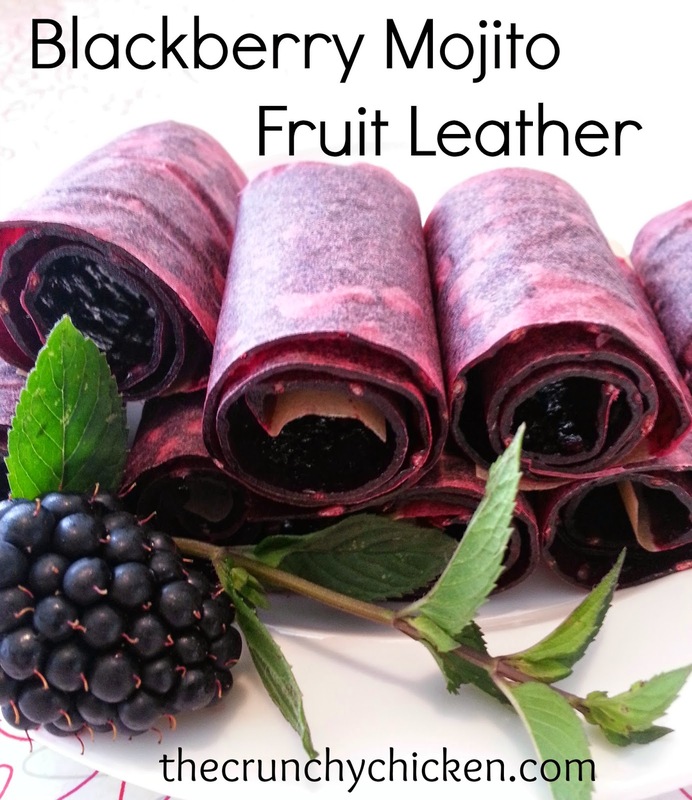 This book, which lists for $27.50, includes several of the recipes on her blog as well as a ton of new ones, all including the same sort of step-by-step pictures and instructions that you've grown to love. In addition there's a bunch of pictures from around the farm and information about the family (like, did you know that Marlboro Man's real name is Ladd?). If you are not familiar with her blog (and, if not, have been under a rock? ), then I urge you to go check it out if you are at all interested in life in the country. I must warn you, however, that her blog and life is not a sustainable existence so don't expect any stories of living off the land. This is a true working cattle ranch. After years of living in Los Angeles, I made a pit stop in my hometown in Oklahoma on the way to a new, exciting life in Chicago. It was during my stay at home that I met Marlboro Man, a mysterious cowboy with steely blue eyes and a muscular, work-honed body. A strict vegetarian, I fell hard and fast, and before I knew it we were married and living on his ranch in the middle of nowhere, taking care of animals, and managing a brood of four young children. I had no idea how I'd wound up there, but I knew it was exactly where I belonged. The Pioneer Woman Cooks is a homespun collection of photography, rural stories, and scrumptious recipes that have defined my experience in the country. I share many of the delicious cowboy-tested recipes I've learned to make during my years as an accidental ranch wife—including Rib-Eye Steak with Whiskey Cream Sauce, Lasagna, Fried Chicken, Patsy's Blackberry Cobbler, and Cinnamon Rolls—not to mention several "cowgirl-friendly" dishes, such as Sherried Tomato Soup, Olive Cheese Bread, and Creme Brulee. I show my recipes in full color, step-by-step detail, so it's as easy as pie to follow along. Now, I know a lot of you probably have some New Years resolutions to work on but, believe me, even though her recipes won't exactly be in Cooking Light anytime soon, they are totally worth the calories! To enter the book giveaway, just add your name to the comments of this post. You have until Friday, January 15th, at midnight PST to sign up. I'll announce the three winners this weekend. Yea! Would love a copy of this book! Pick me, pick me oh great random number generator! My coworker looooooves the Pioneer Woman blog! I drool every time I think about this book. I would love to have a copy. Add me, I love Pioneer Woman, well I don't really know her but I love her blog and recipes. Oh please pick me. I would really love a copy. This looks like a fabulous cookbook!!! I love to cook. All homemade from scratch and using fresh items from my organic garden. I would luv to win the cookbook so I could enjoy some amazing new recipes. Does that include people outside the US? I've made a couple of recipes from the PW website over the past few weeks and each of them has been fabulous. I'd love a copy. Really trying to cook more this year and need some new recipes. Her ranch dressing recipe and zucchini cakes are a summer standby around here. I have to say I would love to own a copy. I on the VERY long waiting list at the library- I would love to have (nearly) instant gratification instead! My recipe collection needs some new life. Oh, pick me, pick me. I love cookbooks and would LOVE to have this one. I made no exercise resolutions. Bring on the cream, Pioneer woman! I am a horrible cook & her website is perfect for me with all the pictures & step-by-steps. I would love a copy of her book! Cool! Please count me in for a chance at this book. And thanks again! Oooooooo, I hope it's me! You could break the "I never win anything" curse! Oh, I could use that book. My Texan hubby and child love southern recipes, but since I'm from Ontario, I rarely make any and not with too much success. Her book would definitely help. PS Don't you adore her mustangs and pooch ? As an accidental sister-of-my-heart to a cowgirl, I've started to love the country more than my city existance. I would LOVE to win a copy. Thank you. I've so wanted this book. I've been wanting one of her cookbooks. Crossing fingers and toes and eyes and nose! Me too! This sounds fantastic. Thanks for offering it up, Crunchy, and thanks also to Pioneer Woman for offering up more! I hope to get a get another chance at winning this book. It sounds great! What a wonderful give away! I would love her book! Ooo, pick me! Pick me! Oooh, my fingers are crossed! I never knew who Pioneer Woman was until I saw your first book giveaway. Now I would love this book! Thank you for another chance to win this! That's a fabulous blog! Thanks for another contest! I came bye to tell you how funny your S Palin post was. It was funny. Gotta love those Moose Muffins. Now I am in even more awe of you... as you seem to have won the blog-heart of the legendary Pioneer Woman. I bow in your presence. I keep hoping to see her book in the store, but have not had the good fortune, so maybe (toes and fingers crossed) this is my chance. I need a good cookbook - my Mom's Ladies Home Journal Cookbook is getting pretty threadbare. Please? My friend has this book and it is great. Hope I win! I love Pioneer Woman. Her chicken spaghetti is awesome. I've tried some of her recipes and have not been disappointed. SO delicious looking. I nearly skipped over my blog feeder this morning to. "Lindsey" would LOVE a copy. She also loves communicating in 3rd person! Pioneer Woman rocks! Would love to win her cook book! I've just started trying her recipes (New Year's resolution to cook at home more) and they are divine. I would love to have this book! -Elisabeth S.
I love the Pioneer Woman and have been hinting to everyone that I want a copy of her book...so far NOTHING. Thanks for this wonderful opportunity...and your GREAT blog. Please enter me in the draw! Thank you! 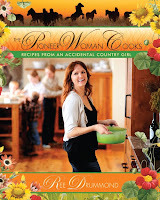 what a wonderful giveaway :) i'd love to be able to cook like pioneer woman! delish! thanks sooo much for the chance to win one!! love your blog so much too! I would love this book! Thank you for the chance to win. Ooh, shiny new ranch life and cooking awesomeness. Yeee! I despised caesar dressing until I tried her recipe for it. Delicious! cool! I would love one! I'm a sucker for a good cookbook. Count me in! I enjoy having a good laugh over the amount of butter in PW's recipes! I lost all of my cookbooks (and my cat, my apartment in general and a bunch of other stuff) in a house fire two weeks before Christmas...So I would be stoked if the random number generator picked me! I love PW's website - having the step by step pictures really helps, too. Add me, please. Those recipes sound delectable! Do I get more points because my word verification is "cowesses"??? I would love a copy of this book. I've made so many of her recipes! Everything I have heard about this cookbook is good! Pick me! I love Pioneer Woman! This would make my day. I will think of it as a late birthday present since my birthday was on Sunday! Thanks for the chance to win it! Oooh, it's a race!! I hope I win! (name *that* movie, LOL)..
Ohhh yeah-diet be damned-count me in! I would love a copy of this book. Thanks! A la Grey's Anatomy - "Pick me. Choose me." ha ha! Thanks for all the sweet give-aways. I wish I had a treasure troll so I could rub his belly for luck. This has been on my amazon wish list for a while. Oh I love second chances! Love your blog, love ree's blog. Would love the cookbook (I have too many cookbooks so I'm not buying new ones - only accept them if they are used or if they are a gift-have to draw the line somewhere). Glad to have a shot at this book! Me! My library is lame and doesn't have a copy! I love her blog and yours too! Ohhhh I saw this at the bookstore. It's on my wishlist!! Need it, want it, what more can I say. What the hey, sign me up for the drawing, also. So excited you're doing another give away for this book! Oh please pick me!! pick me!!! What an awesome prize! Thanks for the chance to win! Me, please! Always love an opportunity to live vicariously . . .
Yay! I have a bit of a cookbook obsession at the moment! Very cool. I'd love a copy of this book! What a wonderful woman! We, your lucky readers, sure do have it good! I would love to be entered for this drawing. Ree's recipes look oh-so-good!!! I love cookbooks that have great photos...this one looks like a winner! "Country Roads take me home. To the place I belong." John Denver. Just leaving my name Thanks. I love Ree and have been meaning to get this book! I would love a copy! Wow, three chances to win! I'd love to have a copy of this book. I love her blog and would LOVE her book. Please enter me in the contest. I would be excited to get a copy (or just win anything, especially to do with cooking)!! My Okie husband is crossing his fingers that I win this, so I can finally cook something he will like.